Waterline Data offers a Smart Data Catalog to empower business analysts and data scientists to find trusted data in a data lake in order to do self-service data preparation and analytics. At Waterline Data, our unique capability is that we combine automated semantic discovery with crowdsourcing to business analysts and data stewards inside the company. Our Smart Data Catalog gets its “smarts” from both machine automation as well as the capture and sharing of tribal data knowledge. Waterline Data Smart Data Catalog is built on three pillars: Time to value, tribal data knowledge, and trust. 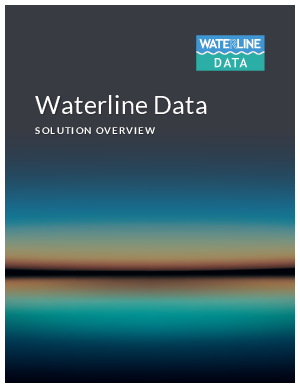 Download this white paper to learn more about Waterline Data!